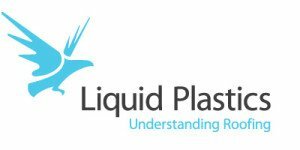 Liquid Plastics: UK manufacturer of bespoke liquid waterproofing to the roofing industry. Brought into the business as change agents at Board level request at the onset of the 2008 recession, Quantum were challenged to implement performance gains aimed at growing the top line and hence growing market share in the face of a rapidly declining market. Quantum undertook an initial audit of the sales/sales leadership team by attending live customer visits to objectively gauge the effectiveness of the team at selling added value and defending price pressure with contractors, specifiers and other key influencers in the decision making chain. We then interviewed the senior management team to understand how well they effectively managed sales activity against the business objective to grow market share. The audit results were then presented at Board level to objectively quantify the size of the improvement opportunity and hence the opportunity available to grow revenue and gross margin in adverse market conditions. Quantum then worked hand in glove with the senior management team at field level to implement process and methodology initiatives delivering behavioural and cultural change into the daily heartbeat of the team. Key account b2b trading relationships were nurtured and developed to maximise customer penetration and shut out the competition. Quantum worked with Board sponsorship alongside the senior management team to first identify improved performance opportunities and then implement effective change strategies to deliver both revenue and EBIT growth against a market backdrop of continuing decline. Morale within the sales team remained high and the resulting increased market share meant that overhead wasn’t downsized in either the commercial or manufacturing operation during a difficult trading cycle. Live real time support on key strategic projects to build support with key decision makers and influencers. Key to the success was Quantum’s hands on proven credibility to work with the team at field level initially motivating support for the change process and then helping to practically implement it in their real world operating environment.